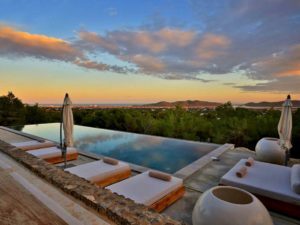 Ministry Does Fitness is teaming up with luxury health retreat specialist, Kin to whisk you away to Ibiza for a week of wellness, fitness and partying. The Ministry Does Fitness Kin Ibiza Retreat offers a 360 experience of endorphin boosting workouts, macro led nutrition, relaxation and mindful yoga, infused with high energy utopia. The retreat will run from 29th September to 6th October and attendees will benefit from their own private chef, a bottomless shake bar, Ministry of Sound beach party, open area cinema and even a Ministry-fuelled wild night out in Ibiza! With only 13 spaces available, round up the squad! Expect beach workouts, sunset yoga and of course unforgettable club nights in Ibiza.